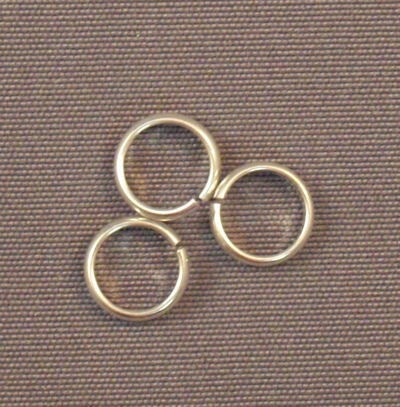 Half round rings are jump rings that are rounded on the outer surface, and flat on the inside. They are truly half of a ring. Half round rings have limited usage in specific weaves such as the French Rope chain. These rings are made of Argentium Silver.